Crush Compliance as a Team of One! Hear from one customer how she uses TRUPOINT Analytics to improve. 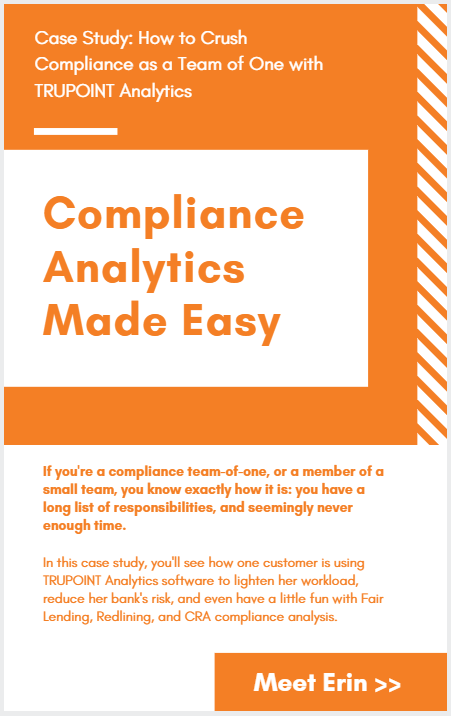 See how one customer uses TRUPOINT Analytics to Crush Her Compliance Goals! Women in male-dominated industries tend to share the same kinds of challenges: lack of wage equality, glass ceiling, limited number of role models, and even outright sexism. 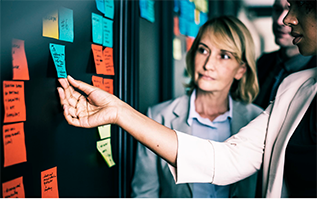 In post four of our "Beyond Banking" series, you'll learn some of the unusual advantages to being a woman in the banking workforce, and how you can leverage those to help solve other gender-based problems. The benefits of diversity and inclusion at work are many; increased innovation and creativity, easier recruitment (especially of younger and/or more diversity-minded employees), and the potential for a larger market share are just a few. Although we are glad to report improvements, there are still problems facing women in male-dominated industries like banking. Those issues include unequal pay, lack of opportunities, and too few female role models. There are more insidious issues, too. For example, do you get interrupted at meetings more than your male counterparts? Is your approach to work-family balance discussed or even scrutinized openly? What about your marital status? Do you end up doing the office dishes? There are also more serious issues, like harassment and assault; almost a quarter of women report dealing with some kind of sexual harassment - many more choose not to speak up out of fear of retaliation or a negative impact on their career. Despite the prevalence of these issues, we still feel confident that most people don't want to create, contribute to, or experience gender-based conflicts or discomfort. In that spirit, we'd like to focus not on the problems related to being a woman in banking, but the advantages. 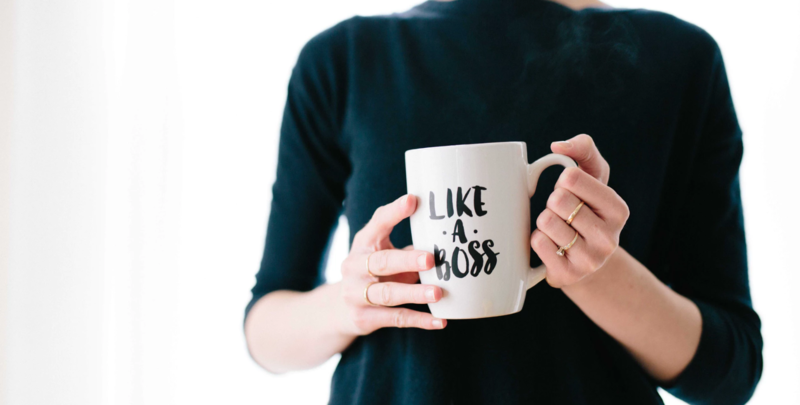 In this post, we will flip the script and talk about three unique advantages women in finance have, and how you can leverage them to address those persistent workplace problems. 1. Your Brain May Work Differently - and That's a Good Thing! According to research by Penn Medicine, imaging of men and women's brains shows striking differences. The most interesting part? Those differences are complementary. For example, women tend to have more connections "between the left and right hemispheres, suggesting that they facilitate communication between the analytical and intuition." The study goes on to say that men tend to be better at learning and performing a single task at a time, while women tend to have better memory and social cognition skills. In this example, women are likely to be better at multi-tasking and creating solutions that work for a group. Women may also be better at processing complex information quickly, the study suggests, while men may be better at prioritizing execution. How Can This Help You At Work? Consider exploring your personal strengths that set you apart, and be creative in finding ways to put them into practice. Do you enjoy looking at data to help your team make decisions? You may want to learn a little more about analytics. Are you a natural diplomat? You might be a good partner in negotiations. Do you believe that company culture is important? 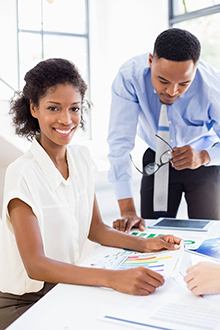 You might be a great team lead for improving employee engagement. If you identify an initiative that aligns with your goals, there may be an opportunity to stretch yourself by getting involved. Make sure that you track your successes, time spend, and the development of the project. This way, when your next performance review comes up, you can share proof of your great work and be in a better negotiating position for raises, promotions, bonuses, and kudos! Over the years, studies have shown that women tend to be more emotionally expressive. That doesn't mean that women are fundamentally more emotional than men, but that they tend to show those positive and negative emotions more openly, through smiling or other facial expressions. Other studies have shown that women tend to communicate more actively than men. One study even showed that women use up to 8,000 words every day, and 10,000 gestures. Men use less than half that many - 4,000 words and 3,000 gestures. The advantages of increased expressiveness are plentiful. Good and active communication can improve culture, strengthen team spirit, highlight problems earlier, and ensure alignment. In fact, 31% of respondents to a Pew Research survey believed that women are better at being honest and ethical in business, and 25% believe that women are better at nurturing employees. If you're in a leadership position, know that you may be inclined to lead differently than men in your institution - and that's okay! Use your advantages, such as being a skillful communicator, to build trust and encourage your team. Trusting, engaged teams tend to outperform teams with poor collaboration and low trust. In addition, if you're in a leadership position, you may be able to encourage other women in your company, and act as a mentor. Engaging with peers is an important step in addressing the gender gap. You'll be seen as a trustworthy, collaborative team-player - traits that most modern companies are striving to cultivate. "Early on in my career I was more conservative. If you moved jobs you went to another department or the company next door, not another country. The world is so small now, you can get assignments abroad. Don’t wait. Experiment. And remember, be persistent – and don’t be afraid to communicate what you want." If you're not currently in a leadership position, you still have plenty of opportunities use your emotional expressiveness to engage more actively and more directly with colleagues. This can improve culture, and encourage collaboration. Once again, make sure that you're keeping records of your efforts so that you can showcase your good work. You may also find that joining professional groups of women helps give you strength and purpose in your work. There are many local and national options available to you, and some events that are sponsored by bankers associations. Finally, some women have said that they were passed over for opportunities simply because they didn't ask for the opportunity. Waiting to feel like you're "ready" to ask for that promotion may mean you keep waiting...and waiting. 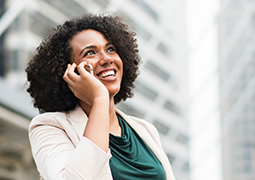 Consider using your strong communication skills to ask your boss about opportunities for you to advance in your current company, and share that you are enthusiastic about growth. Research has repeatedly shown that men tend to take more risks than women. This difference tends to be exaggerated in stressful situations, meaning that in any tense situations, it may be beneficial to have women involved in the discussions and decision-making. That said, the perception of women's risk aversion has also been exaggerated. Women aren't nearly as risk-averse, particularly in a business environment, as people think. Women and men both do take calculated, considered risks, and this is a shared advantage. For example, much has been made of the fact that women tend to be less risky - but arguably more successful - investors. Others have called women the "secret weapon" of the financial world, due to their approach to risk and some of the other factors discussed above. All the research in the world won't make people abandon their beliefs or perceptions of women and their approach to risk. Risk aversion or the perception of it may be seen as a negative trait in a "get things done" environment. Knowledge of these perceptions can help you speak more to them. When you take risks, make a mental note, and feel free to talk openly about the pros and cons of those risks with your managers and team.You can leverage your communication skills and social awareness to slowly but surely change perceptions. In addition, your approach to risk may be a strategic advantage in your unique role. For example, smart risk aversion can be a serious benefit in a compliance role! Considered risk-taking can lead to really creative, effective marketing campaigns. And bold-but-wise risk-taking combined with good communication skills can be invaluable in strategic growth discussions. TRUPOINT Viewpoint: We believe that everyone has unique skills, talents, insights, and perspectives to bring to the conference table. That's one of the beliefs that underpins our company's commitment to learning and growing together. As we explore new ways and resources to support you in your work and your career, such as this blog post, we hope that you'll share your feedback so that we know if we're on the right track. We have blogs, video content, and all kinds of other resources to support you in your growth. In fact, here is a recent resource that you may have missed: a worksheet outlining phrases that signal consumer complaints. It's suitable for any position in the financial institution to use as a quick reference, and we hope that you find it helpful.